We value our patients' experience at Price Chiropractic. If you are currently a patient, please feel free to complete the following Client Experience Questionnaire. The Questionnaire is in Adobe Acrobat format, and requires the free Acrobat Reader to view. Dr. Price is the man and can very much help with and chiropractic needs, I went in to see if my back pain could make me eligible for an MMJ card, and after a quick assessment, he gave me my reccomendation! I went to the next place he told me to go and with in the hour I had my card. He's a nice guy to talk too, he helped my friends family after an auto accident and that is how I heard about him! My experience here was great! Dr. Price genuinely cared about my conditions and how they happened and he was very gentle about how he observed my injuries, which is more then I can say about most every other chiropractic office I've been to. I definitely recommend him. Dr. Price has been wonderful. Eight years ago a workplace injury caused severe back pain. Pain management helps but, Dr. Price is a life saver. He answers whatever questions I have concerning my back health. He's patient and kind. His staff is exceptional as well. Always a warm smile. I could write a book! If you're looking for chiropractor in the West Allis or Milwaukee area give him a call. You won't regret it. I HIGHLY recommend Dr. Price, he's the best Chiropractor in town!! I personally drive 30 minutes just for his outstanding service..From Accidents to everyday chronic pain, Price Is who you should see!! Always a pleasure. Dr. Price does great work. Clean, comfortable atmosphere. I will come back again. Great place, very nice Doctor made me feel comfortable and very knowledgable as well! Great place to get your pain evaluation. Fair price. Walked in and out in less than an hour. This is why he has such a large percentage of patient referrals. Dr.Price is great! I felt comfortable from the moment I walked in the door. Dr.Price listened to my issues and recommended proper treatment. The doctor did a wonderful job and I'll be a returning patient. Thank you!!! He is so very helpful and compassionate. Appointments are timely and professional. Great communication and very helpful! I highly recommend to everyone! Thank you Dr. Price! Very friendly, super helpful and professionally knowledgeable! Great team! Kept me posted on what he was looking at doing the whole time as this was my first! Price great guy very knowledgeable. Highly recommended. 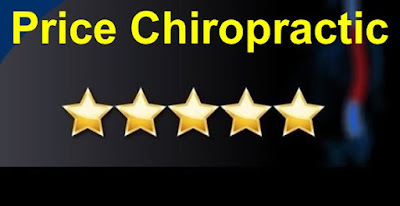 Excellent Chiropractic service ! No stress visit, with excellent results for my neck pain. I would highly recommend Dr. Price to anyone who is looking for a professional, experienced, EFFECTIVE Chiropractor in the Scottsdale area. I have had slight back pain ongoing for several years now and chose to see Dr. Price seeking help. Since I have seen him I am in a lot less pain and am much more comfortable. I highly recommend seeing him for any type of treatment you might need. He is a great doctor, does very well at all of his treatments, and is as friendly as can be! Dr. Price addressed the issue with the tightness in my neck along with my constant back pain. I sought treatment from Dr. Price because my lower back had been painful for several months. DOC PRICE IS THE BEST! After working years in construction my lower back sometimes does not want to get out of bed with the rest of me. After a couple of treatmeants with Doc. Price, I feel awesome. He is super friendly, really understands his business and gets me in and out of his office ASAP. Thanks Again Doc. Price! John M.
The back pain that I had turned out to be hodgekins lymphoma cancer stage 4, and Dr. Price saved my life by sending me immediately to the hospital. When I went to Dr. Price's Chiropractic office in Scottsdale I was suffering from lower back pain from a fall at work. I was really limited as far as what I could do at work or at home. I feel that Dr. Price really knows what he is doing and he knows how to make feel feel pain relief. Dr. Price is Amazing doctor I have sent him to two other people . we all love him. He's on time. Even if the office is busy the wait is not long. Friendly office staff. If you need a chiropractic he's the one to go too. First visit I was a walk in and taken care of immediately following paperwork. Dr price was very professional and quick. I was in and out. Kind and hospitable staff. Would definitely refer my loved ones to this office. Very caring facility! Dr Price is helpful and thorough, will definitely return for future services! Very pleasant experience, Dr. Price was very friendly and thorough. Was very caring and not rushed, took his time to talk and converse. Will be returning. Very friendly and easy to talk to! Great doctor! Thank you Dr. Price for opening your doors early this morning. The pain in my neck would not go away. After a few treatments with Dr. Price is started feeling much better, and my neck pain is non-existant. I also found out that my stiff neck was also causing my headaches. I have not had a headache since visiting Dr. Price. You may not realize it, but something like neck pain can trigger other issues with your health. Thank you Dr. Price !